At the time of our last quarterly update, we had just finished a great year for the stock market. Accordingly, we wrote “…we do not expect 2018 gains to match those of 2017.” So far, we have been more correct than we really wanted to be with the S&P 500 showing a modest decline year-to-date despite the exceptionally strong start in January. 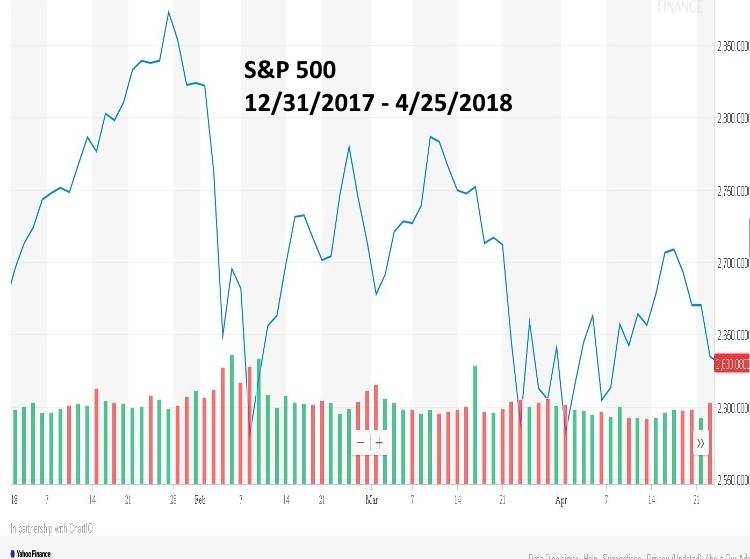 The “modest decline” doesn’t adequately describe the very sharp moves, both up and down, by the S&P 500 and the Nasdaq Composite in the first three months of 2018. 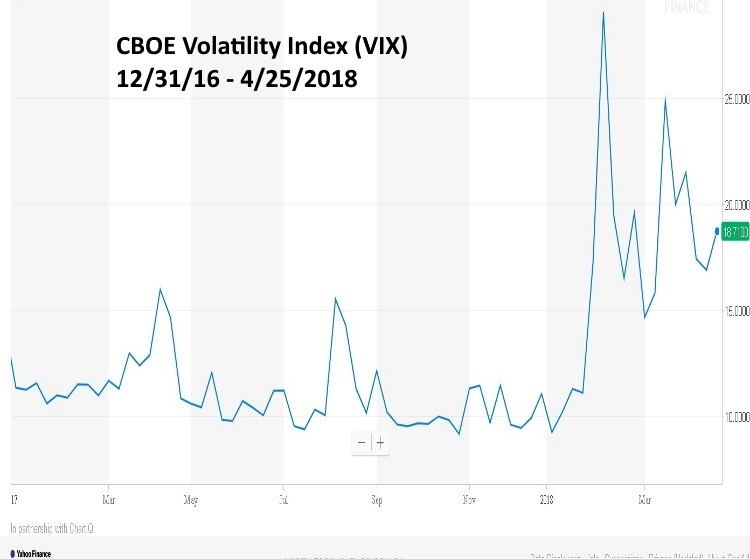 Those sharp moves translate into an increase in market volatility starting in early February, as measured by the VIX, after spending a year below 12; a reading that is historically very low for the markets. 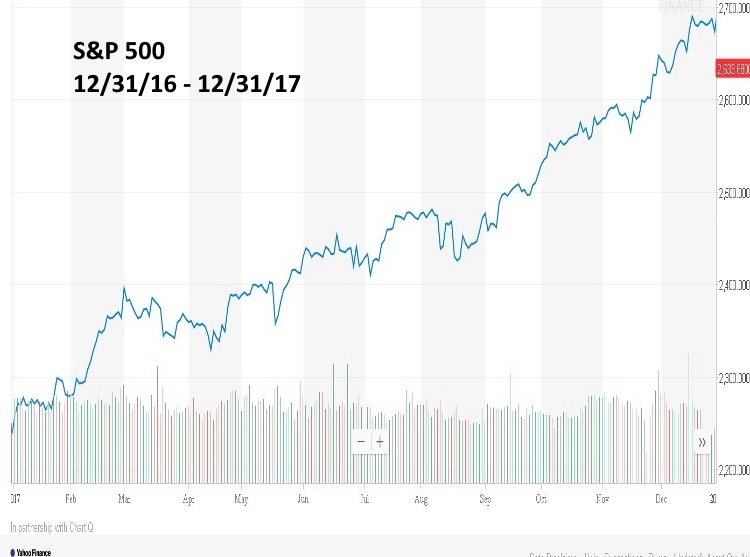 Some people who read stock market charts are describing the move in January as a classic “Blow-off Top” which, according to Investopedia is “A chart pattern that indicates a steep and rapid increase in a security’s price and trading volume followed by a steep and rapid drop in price and volume. While we see a steep and steady rise in price followed by a steep and rapid drop in price, when we add volume to the chart, we do not see the type of volume behavior that the definition is calling for. According to wealth management company Gluskin Sheff’s Chief Economist, David Rosenberg, the S&P 500 Index is on pace for an incredible 100 sessions with a daily move of 1% or more. It’s still early, and there’s no guarantee this pace will continue. But it would place 2018 in rare company. In fact, this has only occurred in five previous years over the past 70. Two of those years – 2001 and 2008 – occurred in the middle of a serious bear market decline. The other three – 1974, 2002, and 2009 – marked significant multiyear bottoms. But all five were incredibly volatile periods for investors. There are four major factors driving the market. The factors are growth, trade wars, geopolitics and regulation of technology. Each of the four factors has several potential outcomes, some being positive for the markets and others being negative. With each tweet, speech, data point and action that takes place, traders and investors recalibrate their outlook and adjust their positions accordingly only to have a contradictory tweet, speech, data point, etc., follow which forces them to recalibrate their viewpoint once again. No wonder the market seems confused. With regard to growth, the bulls expect a boost from the Trump tax cuts. They are also anticipating inflation due to strong job creation, rising labor force participation and a low unemployment rate. They expect interest rates to rise but consider this more a sign of economic strength than a cause for concern. Strong growth is good for corporate earnings, and a little inflation is usually good for nominal stock prices, at least in the early stages. Bears point to an economic slowdown in the first quarter (most projections are around 2% or less and by the time you read this the actual results should be known). This is consistent with the dismal average of 2.1% growth since the end of the last recession in June 2009. Stronger growth is impeded by demographic and debt head winds and the impact of Chinese labor and technology on global pricing power. Tax cuts are not expected to help, because the drag on growth caused by increased debt will outweigh any stimulus from lower taxes. The market is also concerned that the Fed is giving a weak economy a double dose of tightening in the form of rate hikes and the unwinding of several years of quantitative easing (loose monetary policy). We don’t think the Fed will push the economy to the brink of recession before they get the message and pause on rate hikes, probably after the November elections. To many, the possibility of trade wars are another conundrum. There is little doubt that a true trade war would reduce global growth. But many are wondering if we’re facing a trade war or just a series of head fakes by Donald Trump as he pursues the art of the deal? For example, Trump imposed tariffs on steel and aluminum imports and then almost immediately carved out exemptions for Canada and Mexico pending progress on renegotiating NAFTA. Then the President trumpeted a trade deal with South Korea that imposed quotas on steel imports but almost immediately said that deal was conditional upon South Korean help in dealing with North Korea. Trump has also threatened over $50 billion of penalties on China for theft of U.S. intellectual property, but within days China and the U.S. calmed market fears by announcing plans for bilateral trade negotiations. So, is it really a trade war, or just a set of negotiating tactics? We don’t believe a trade war is the real end game for the President. Trump is a New York businessman and he approaches the office of President like a New York businessman versus a politician. If his real goal is to create a more level playing field and address the burgeoning trade deficit we have with China, then a trade war would be a step backwards. We also question China’s strength in direct negotiation with the United States, While the news media would have us believe that China holds all the cards, the scenario changes when you actually look at the hand they have been dealt. While it is true that China is the world’s fastest growing major economy, much of its growth has been from investment in an export-based model and now that strategy, wrought with examples of poor investment that we have mentioned before, may prove detrimental to their global ambitions. 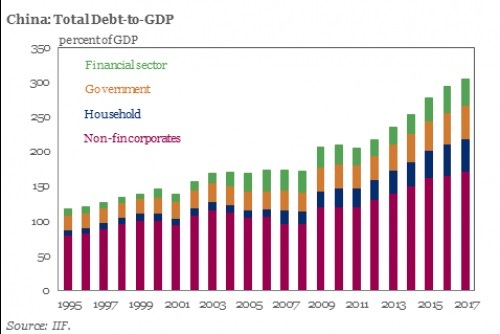 China’s total debt has been building up in the economy during the last several years to support growth. China’s debt surpassed 300% of GDP in 2017. The People’s Bank of China has enabled the buildup of debt with “huge lending” to commercial banks. Debt-fueled consumer demand accounted for 71% of China’s economic growth in the first three quarters of 2016. China’s economic growth is being held up through extremely high credit generation. That is probably not sustainable for long without substantial damage to the economy and financial system. Overcapacity in industrial enterprises is the biggest problem that China is facing today. China now has far more capacity than it – or for that matter, the world – needs. In some cases, overcapacity exists to the level of 30% of domestic need. The overcapacity problem has been exacerbated in recent times by the clear slowdown of China’s economy. Particularly, the slowdown in infrastructure projects and in the real estate sectors. Overcapacity in the manufacturing sector could take far longer to be sorted out, especially given the state of the global economy. To tackle such conditions and avoid an impending crisis, China faces a very serious need to boost exports, as its domestic demand cannot absorb the goods that would be produced at the higher capacity utilization levels needed to sustain the economy. In such a scenario, any fall in Chinese exports due to a trade war has the potential to cause a huge setback to China’s plans and strategies. Will the threat of a trade war work to level the playing field? Chinese President Xi Jinping has just promised foreign companies greater access to China’s financial and manufacturing sectors and pledged Beijing’s commitment to further economic liberalization despite (or because of) rising trade tensions with the U.S. The news that China intends to try to do better is welcomed, but it’s nothing we haven’t heard before. There was no clear schedule for implementation of the proposals. Barring concrete progress on a trade deal, we suspect it’s simply a matter of time before tensions rise again. Trump has left enough wiggle room to indicate he could back off the trade wars if he can attain enough concessions from China and the NAFTA countries. Our expectation is that trade talks and skirmishes are likely for some time to come. China will probably stall concrete action until the outcome of the November election to see if voter support for Trump increases or decreases. The advent of a Democrat majority in one or both Houses of Congress could change the political calculus. Geopolitics is another on-again, off-again market driver particularly concerning war with North Korea. If anyone had suggested, even three months ago, that North Korea would end up participating in the Winter Olympics and subsequently request a meeting with the U.S. to discuss nuclear disarmament, the suggestion would have been rejected outright as naïve. And yet, a rapid round of diplomacy involving summits including North and South Korea, China, and Japan, are all leading to a summit between Donald Trump and Kim Jong Un. Quite possibly these developments may point to a possible peaceful resolution of the impasse. If you believe Kim Jong Un is dealing in good faith, you’ll be encouraged by these developments. If you believe Kim Jong Un is dealing in bad faith and just playing for time as he perfects his weapons technology, then you’ll expect that war is just a matter of time. The final factor that is confounding markets is the potential for regulation of technology. Investors do not need to be reminded of the outsized impact of the FAANG stocks (Facebook, Apple, Amazon, Netflix and Google) on markets overall and the Nasdaq-100 in particular. Suddenly, Facebook is facing scrutiny because of misuse of personal customer data and for acting as an accessory to alleged Russian meddling in U.S. elections. Amazon is under the gun on possible antitrust grounds, alleged government subsidies for shipping and Trump’s visceral dislike for the “fake news” Washington Post owned by Amazon founder Jeff Bezos. There has already been a congressional hearing on one of these matters with a high likelihood of more to come. It’s possible that hearings could lead to legislation. Will Silicon Valley lobbyists dilute the legislation? Will antitrust allegations go up in smoke? Or will populist outrage with the tech giants lead to a sea change and aggressive enforcement as we saw with the Rockefeller trusts in the early 1990s? The correct answer is that no one knows. This will be a battle between corporate lobbyists and populist outrage. Usually the lobbyists win, but this time may be different. None of these four issues will be resolved quickly. It may take six months of data before the Fed realizes the economy is weak despite tax cuts or before growth bears throw in the towel. Trade wars usually play out over years, not months. 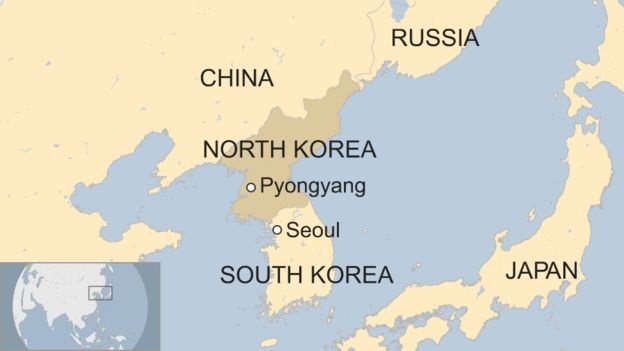 If Kim Jong Un wants peace, we should know fairly soon. If not, the countdown clock to war, currently on pause, will resume ticking. The hearings and legislative process involving technology regulation could easily take a year or more to play out. Members of Congress like to milk these issues for campaign contributions from both sides before resolving them, so quick results here are unlikely. The problem for investors is they have to wake up every day and commit capital whether they know the outcome of these issues or not. If growth is strong, trade wars fizzle, North Korea wants peace and the tech lobbyists prevail, then Dow 30,000 is a possibility. If growth is weak, trade wars escalate, North Korea is dealing in bad faith and popular outrage hamstrings the tech giants, then Dow 20,000 is the more likely market destination. Of course, other combinations of these factors are more probable than a uniformly positive or negative scenario. Mixed results, though in unknown combination, are entirely possible. Our estimate is that a slightly more optimistic, modestly bullish path is most likely. Money is still going to flow where it is best treated. We do not believe the economy is so strong that interest rates will rise enough to trigger an immediate mass inflow of investment into bonds. But it’s unwise to put a stake in the ground on any particular outcome. The best approach is to assess incoming data and update our opinions accordingly, stick with higher quality investments in correspondingly suitable allocations based on each investor’s financial and emotional tolerance for risk, and stay nimble. It is highly unlikely that market volatility will go away any time soon because the issues now driving that volatility, if history is a guide, will not be resolved soon. For those who were worried last quarter that they were going to miss out on the next great wealth making investment, we have good news. 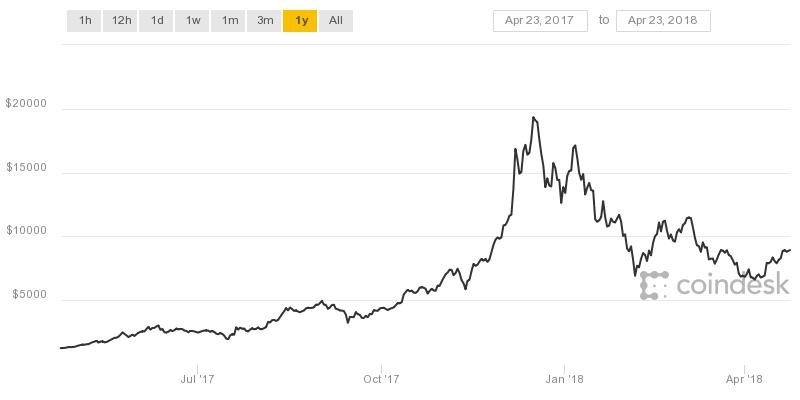 Bitcoin, still the leader of the cryptocurrency revolution has dropped dramatically from its most recent run up. This is not the first time this has happened, nor do we believe it will be the last. The cryptocurrency market is still in its infancy and has been compared to the Wild West. We do believe that in the long term, the promise of the underlying technology behind these currencies, Blockchain, could prove to be beneficial to a number of industries, but many of the companies involved in Blockchain are being valued on hopes and dreams instead of fundamentals. In such an environment, picking winners from losers is still more closely related to picking numbers on a roulette wheel than it is to common sense investment principles. We continue to monitor the markets for real opportunities based on the value-based approach that has served us well all these years and if the right company comes along, we will not hesitate to add it to our universe of stocks. Until that time, we still regard investments in these currencies or blockchain start-ups as strictly speculative and not suitable for any core portfolio strategy.